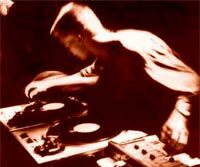 Freddy M�ller runs as "Club-DJ Vinyl" an after hours club at the Langstrasse in Zurich. To regularly inform his guests about upcoming events, hecollects adresses and mobile phone numbers like describedin the PDF-Document SMSBLASTER.CH - THE SMART WAY TO SEND SMS. Fact: Communication by SMS is reliable and binding and suitable for information and coordination of groups. 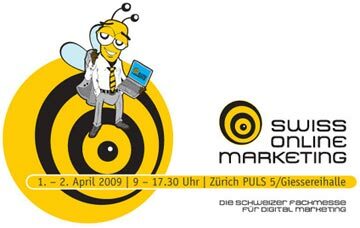 As main instrument of communication, the SMSBLASTER.COM webedition is used in combination with a Global Two-Way number (e.g. +447624000000). The Club-DJ Vinyl sends all short messages with this number as originator. Party people send short messages to Club-DJ Vinyl exclusively to the Global Two-Way number+447624000000. 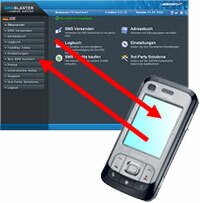 All replies of party guests are received in the Two-Way Inbox of the SMSBLASTER.COM web edition. After every weekend, the Club-DJ Vinyl enters the collected addresses and mobile phone numbers to the address book of the SMSBLASTER.COM web edition. THE SMART WAY TO SEND SMS. Eversince, Club-DJ Vinyl consequently sticks with thetipps and tricks, described in the brochure and wonderswhy he didn't do so earlier. After a short startup period, the new mobile marketingactivitites show a positive effect: Club-DJ Vinyl'splace is jam-packed every weekend..